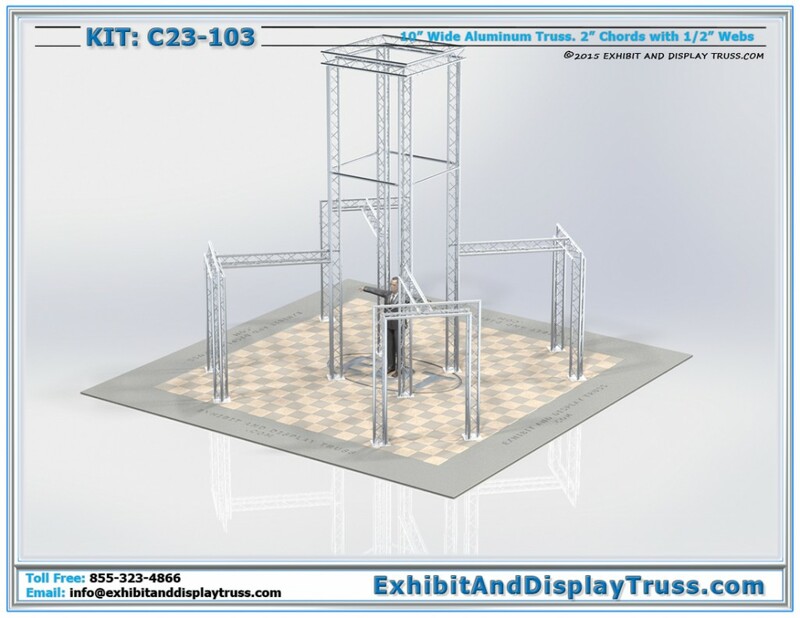 Truss Trade Show Displays are modular truss kits. LDS manufactures quality aluminum truss trade show booth kits that are easy to transport and very durable. Truss trade show displays can also be modified and reconfigured over time, depending on the booth size you have at a trade show. Aluminum trade show booth kits are modular, easy to set up and take down, portable and lightweight, making them ideal for any trade show and convention hall exhibits. For even more ease of assembly, we offer quick clips, which eliminates the use of tools when setting up a trade show assembly. At LDS, we have a wide range of trade show booth ideas to attract visitors and a wide range of accessories and clamps for trade show display graphics. All of our truss booths are build with lightweight and durability in mind, and Shelves, racks, TVs, and company banners can all be attach to our durable truss systems. Trade show booth displays can be reconfigured and expanded and contracted over time as all of our truss components are modular. This makes buying a trade show display that will last a better option than renting a trade show booth, as it will cost about the same.